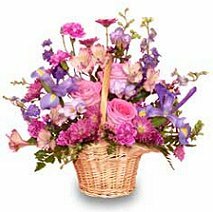 At Flower & Gift World, we deliver smiles from across the miles! We’re a local Samson, Alabama florist with 50 years plus experience and a lovely variety of fresh flowers, live plants and creative gift choices to suit any style or budget. We hope you enjoy your online shopping experience with secure 24-hour ordering right at your fingertips. If preferred, you may call us to place orders direct at (334) 898-2242 or 1-888-413-7858. It is our pleasure to assist you with any local, as well as worldwide deliveries and remember that corporate accounts are always welcome. For your convenience, we offer daily floral delivery to local funeral homes and hospitals. For local Samson orders, call our shop and pay only $3.00 for delivery. For local Geneva orders, call our shop and pay only $5.00 for delivery. Flower & Gift World is open to serve your floral and gift giving needs: Monday through Friday 8:30 am to 5:00 pm. Closed Saturday and Sunday. Planning a Wedding, Holiday Party or Corporate Event? Let Flower & Gift World handle all your special floral and on-site decorating needs. Call to schedule a consultation, so we can help you start planning your next special occasion! 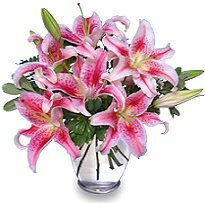 When you need to Send Flowers to a Funeral… Our courteous and knowledgeable staff will design and deliver a funeral arrangement that beautifully conveys your feelings of sympathy and serves as a lovely tribute to the deceased. Great Gift Ideas for all Ages & Occasions… Willow Tree Angels, TY Beanie Babies, Cherished Teddies, Claire Burke Products, Danger Men Cooking Gifts, Neqwa Art & Fusion Lamps, Auburn & Alabama Collectibles, Custom Gift Baskets, Baby Gifts, Candy & Chocolates, Greeting Cards, Home Décor, Scented Candles, Silk/Artificial Flowers, Plush Stuffed Animals, Balloons and more! Thank you for visiting our website with flowers delivered fresh from your local Samson, AL flower shop and convenient online ordering 24 hours a day! !